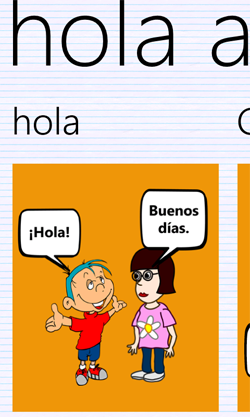 We are pleased to announce the release of Version 1.0 of our brand new Spanish For Kids app exclusive to Windows Phone. 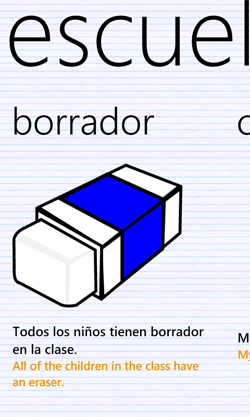 The app is designed to give kids access to simple beginner vocabulary complete with illustrations. 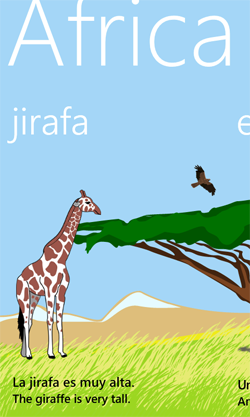 While most apps will stop at the vocabulary we’ve decided to kick it up a notch and give kids a variety of sentences and expressions to use with that vocabulary. 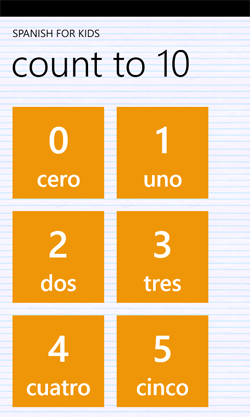 All of the Spanish vocabulary and phrases will give you the audio with a simple tap of the finger.